A history of the idea of South is yet to be written. Though the term was widespread through disciplines, fields of expertise and geopolitical contexts (see Boaventura Santos, Raewyn Connell, and John & Joan Comaroff), origin(s) and definition(s) of South remain imprecise and require further investigation. The most notorious and well-known references hold on official designations produced by Western institutions, like the 1970s OPEP debates, the creation of UN agencies’ for the South, the Brandt Report or the 1980s South Commission. Both reinforce the idea of an imaginary North-South divide structured over a developmental agenda focused on wealth production-concentration-distribution-consumption. All in all those dreams of North-South highlight worldviews of binary partitions that conceive global divisions between rich and poor and further adjetifications (developed and underdeveloped, central and peripheral, first and third, West and Non-West and so on). Although other forms of ranking development were created (like the 1990 HDI) wealth remains a preeminent principle for indexing narratives of global hierarchies. The present essay aims for mapping the sociogenesis and relevance of other concepts of South (i.e. 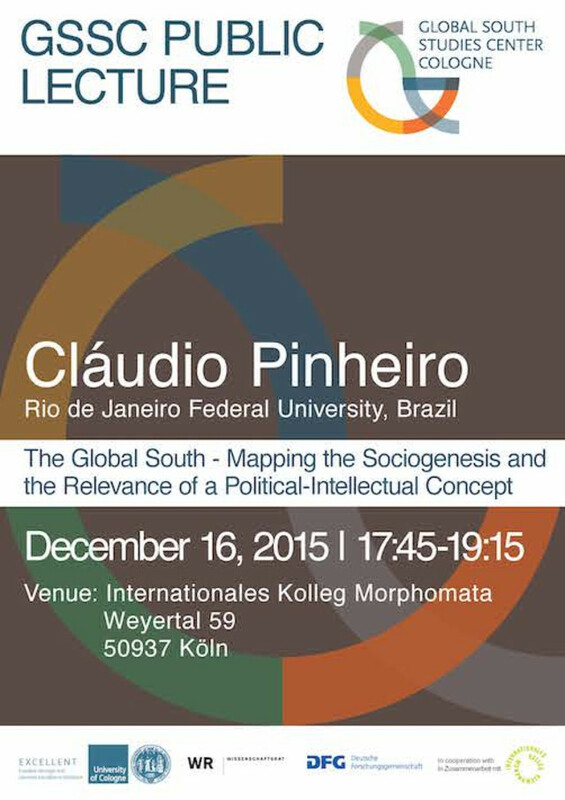 Global South) as a political-intellectual concept that had different origins in distinct spaces. It observes experiences of conceptualizing the term that overcome the reproduction of binary cleavages structured over asymmetries and fantasies of economic development. The paper concentrates on readings that reinforce epistemological/ontological distinctions of the South that help for a renewed project of universalism, from 19th Century Latin American Political Thought onwards.